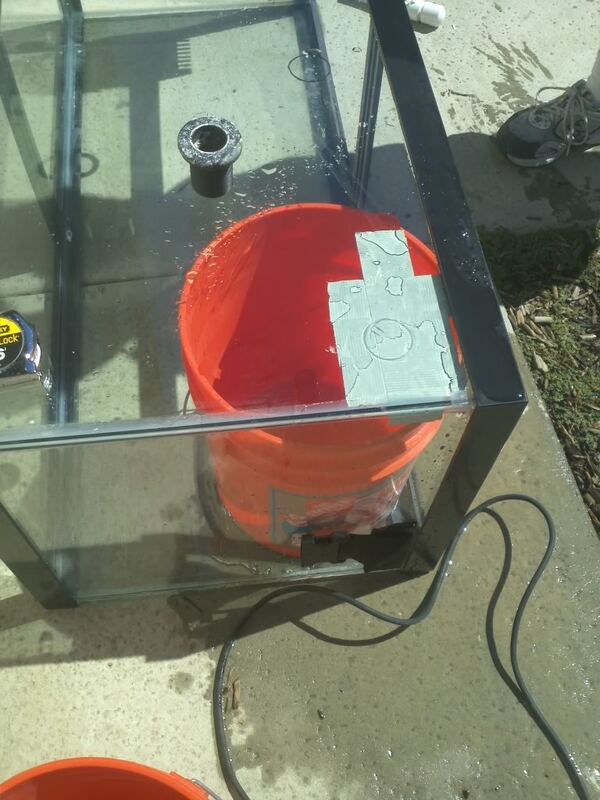 The 75 gallon was big enough that we were able to put a 5 gal bucket under the hole, in case the tape fails or we drilled through it. If you can't get something like that to catch the drilled glass disk, you can alway but a folded towel directly under it to catch it. 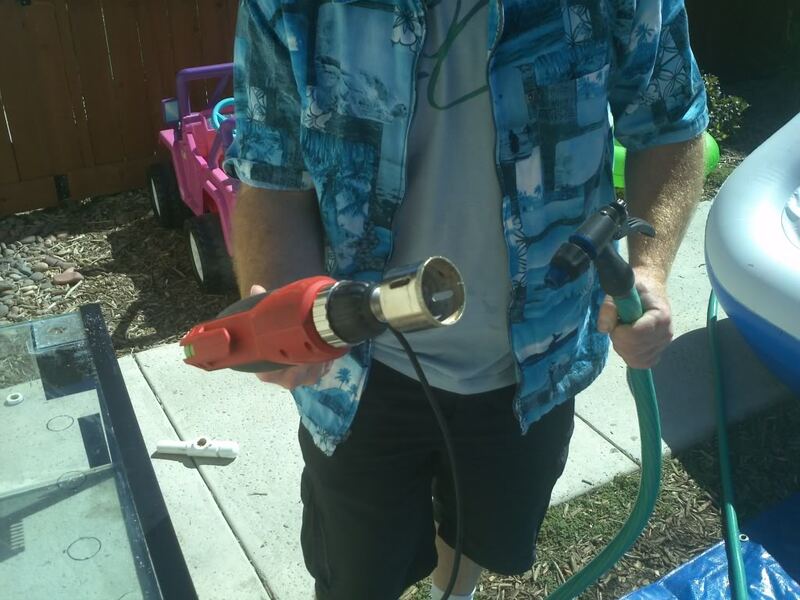 Get your drill, drill bit, and water hose. 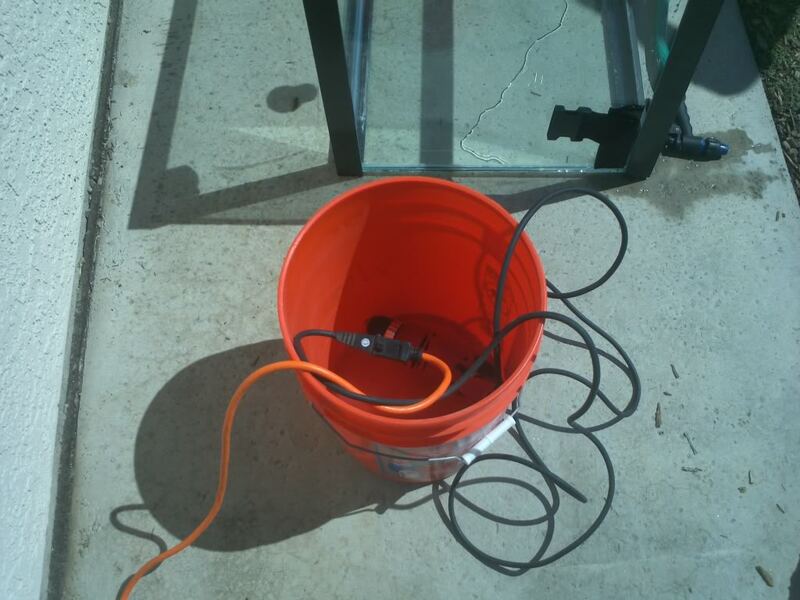 I put the chord and plug of the drill into a bucket to prevent the plug from getting wet and lowering my chances of electrocuting myself. 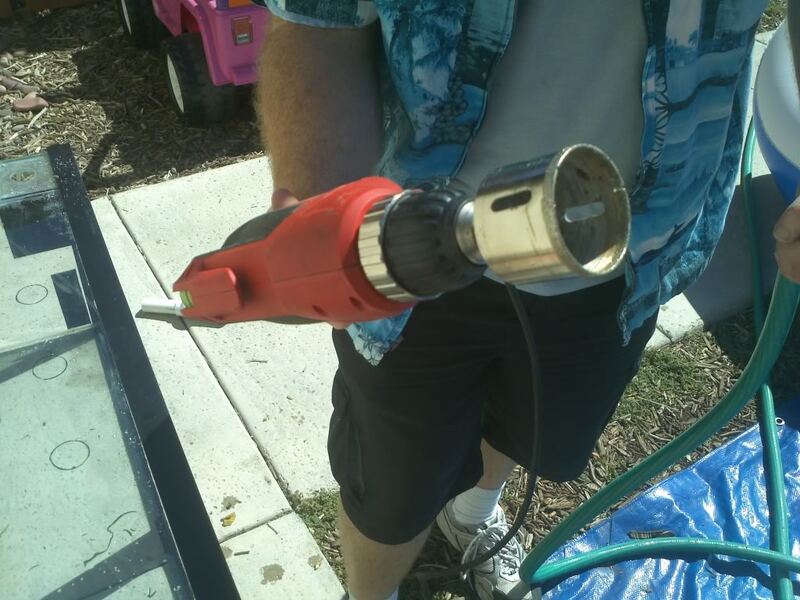 As an added bonus, I made sure that the drill was plugged into a GFCI plug, **which is highly recommended**. 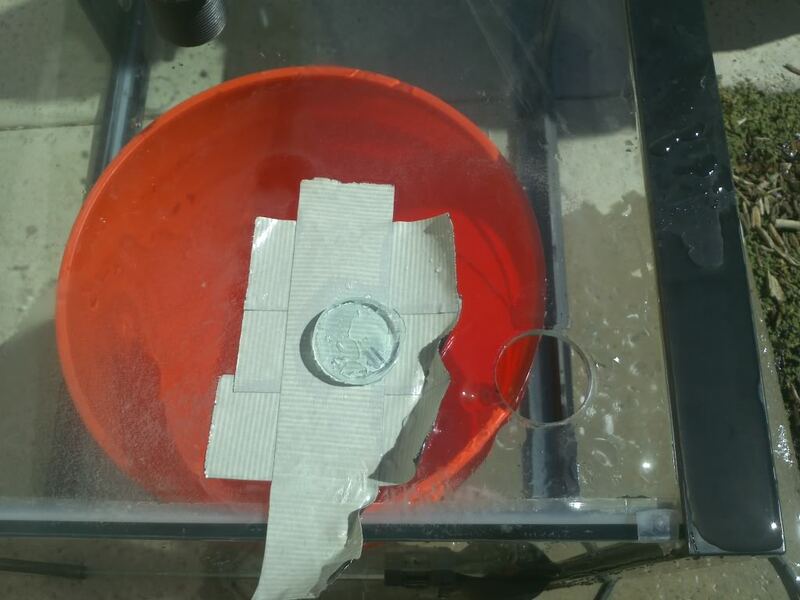 Throughout drilling make sure there is enough water to rinse off all the glass dust, this prevents the glass dust from entering your lungs and it keeps the diamond tipped drill bit cool and sharp, we regulated the water flow to about a half gallon a minute. Also do not apply too much pressure to the bit! Allow the drill bit to do its job. Pay particular attention when you get close to the end. The more you press down the higher the risk of chipping the inside glass or even worse breaking the glass. Line up the mark with the edge of the bit and score the glass. VERY SLOW SPEEDS! Square the bit and once you have a good groove you can speed it up a bit. Would you be willing to drill a tank for me? 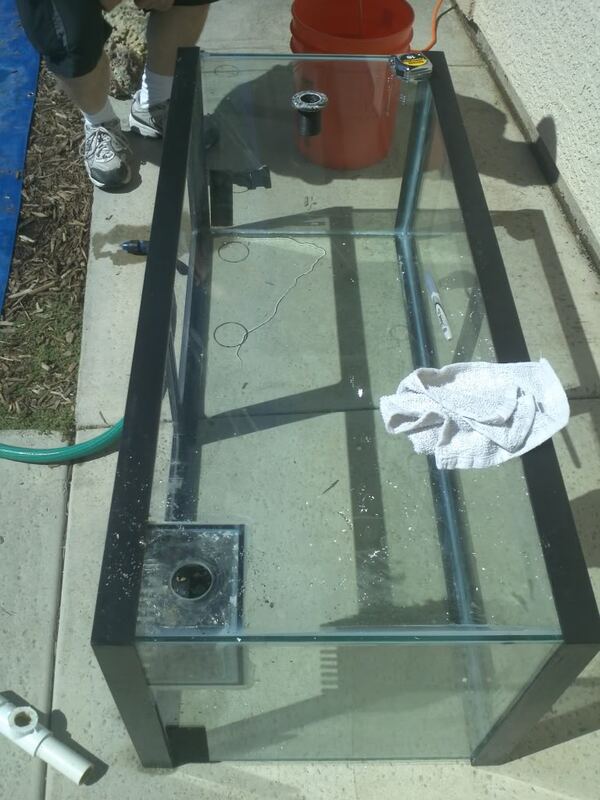 I'm thinking of taking the plunge into a tank with a sump. I plan on using a 33L. There's very little risk here as long as you go slow and keep the drill bit cool. However there's that small chance that the glass can crack, and if I were doing it for someone I'd make darn sure they understood the risk and know that they can't hold me accountable. I understand the risk, but I'm willing to take it. I might need help with baffles for the sump also, I picked up a 20l today.